But a friend of mine was telling me that a lot of people think flights are stupid and that breweries are rolling their eyes behind my back when I order them. Is that true? Am I a total noob for ordering flights? I really like them but don’t want to come off as a loser. The only thing worse than people drinking beer “wrong” is the existence of people who tell people they’re drinking beer wrong. Unless you’re pouring beer on the floor or, I don’t know, Octabonging barleywine, don’t let anyone tell you not to enjoy what you’re drinking. 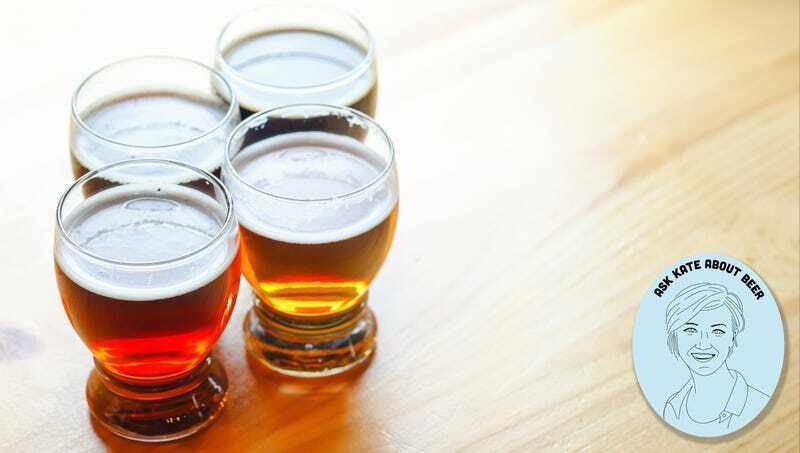 My position is always that if you, the beer drinker, are having a positive experience at a brewery and not bothering anyone else, then why should you change what you order? If flights work for you, dude, then keep ordering them. But I’d also like to specifically dismantle the three anti-flight arguments above. If you as a brewery think flights are too difficult for your staff to serve, then no need to offer them. Perhaps just offer sample pours so people can try a beer before they commit to a full glass. If you don’t think moving back and forth between a brown ale, a pilsner, and an IPA diminishes the tasting experience for you, then don’t let other people tell you that it does. For a lot of people, tasting beer styles against each other helps them learn what they like. Long story short, if beer flights are the way you like to familiarize yourself with a brewery and figure out which beers of theirs you like best, then don’t let anyone stop you. But remember, there’s more to enjoying beer than just Untappd badges.